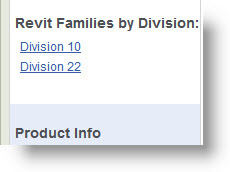 Bradley features a "Select All" and "Download All" for the complete 1000 Revit Family Models in the Bradley Revit Family Library. 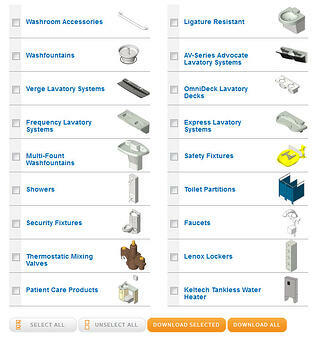 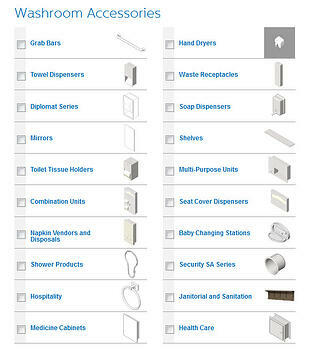 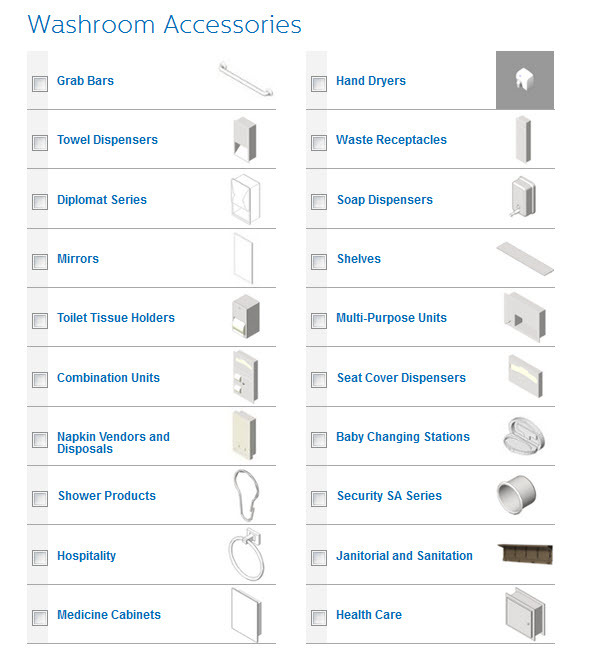 Revit users can conveniently download complete sections of the Bradley Revit Library. 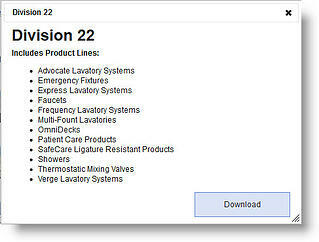 In the right margin, users may select & download the entire library of Division 10 or Division 22 Bradley Revit Family models.